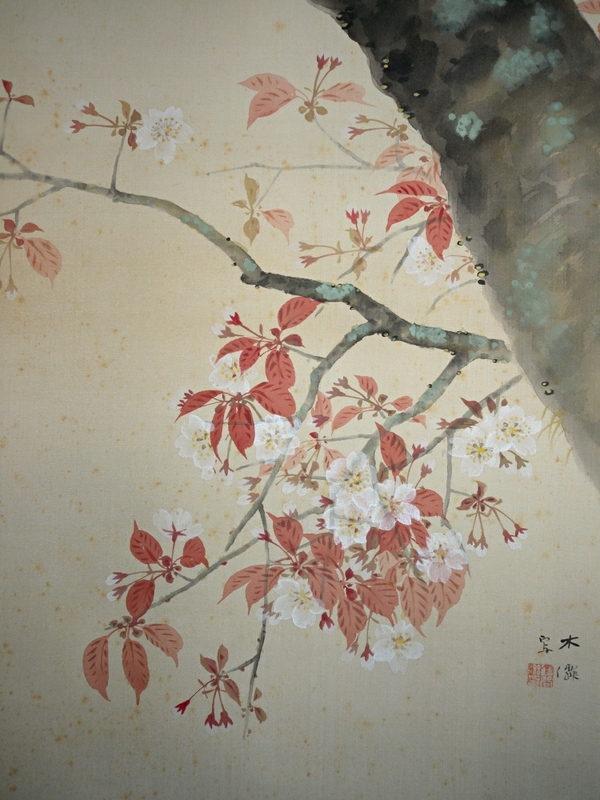 " Little Cuckoo & Sakura Blossoms "
Mokusen was born in Tottori Prefecture in the 17th year of the Meiji era (1894) as a son of Katsuya Beiso, professional Nanga style painter. Mokusen's real given name was Shigeo. 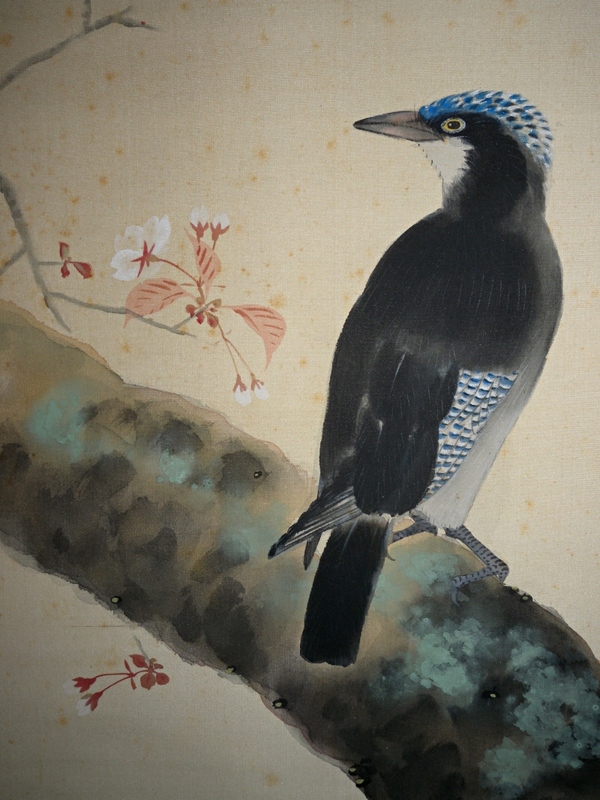 He graduated from the Kyoto Municipal School of Fine Art (Kyoto Shiritsu Kaiga Senmon Gakko). He became a pupil of Nishiyama Suisho. 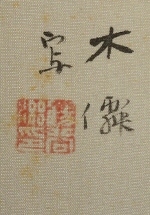 Mokusen developed his painting techniques with Suisho's disciples such as Domoto Insho and Uemura Shoko. Mokusen mainly flourished in the Showa era. 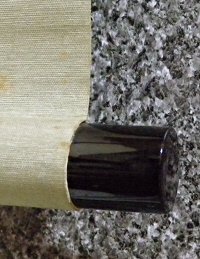 There are some spots on the mounting. There are quite a few faint spots on the drawing part. 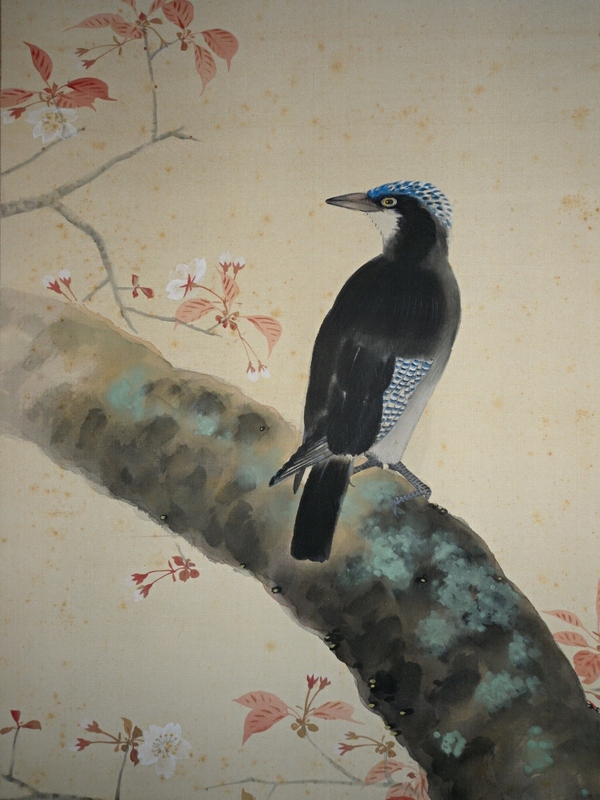 Although, a Hototogisu bird (little cuckoo) on a branch and Sakura Japanese cherry flowers are painted artistically.